Thinking about the history of energy usage brings to mind the early days of burning fuel. Oil lamps were all the rage, and most big cities like New York and London relied on coal plants to function. 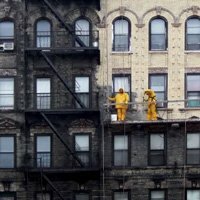 In fact, take a look at one New York building in the process of being cleaned. That’s not even close to what London went through in what’s known known as the Great Smog of London, or the Great Smog of 1952. 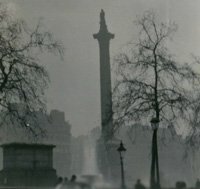 For five days, the citizens of London were subject to a smog that defied anything that they’d ever experienced before – and that’s saying something. This “pea soup” fog created dangerous health hazards, and left people practically blind when walking outside. These are events that show what decades of coal dust will do to a city. But these aren’t even situations that are relegated to the past. Today, in the modern age of 2019, China is still choking in smog, the result of their reliance on coal – a reliance that most of the world has begun to move away from. The Beijing smog is infamous these days, but the government is hoping it won’t last much longer by instituting ways to switch over to other forms of energy. Regardless of China’s place in coal energy, we’ve moved a long way from the air-choking days of ubiquitous coal plants in every big city. However, back then, a city moving on from using coal meant they were moving toward fossil fuels like oil and natural gas. But these days when we hear about a country moving away from coal, it means something else. It’s time for another renewables roundup. And this time, the telescope settles on Germany. Germany is one of the world’s biggest consumers of coal, and just made a historic announcement. Over the next several years, Germany will shut down all 84 of its coal plants in favor of renewable energy. Coal accounts for 40% of Germany’s electricity usage, and shutting all that down will be a mammoth undertaking – the venture will cost roughly $45 billion. But by 2038 at the very latest, there will be no more coal plants in the entire country. This is far from the first decision by the country to move toward renewable energy sources. Following the Fukushima nuclear disaster in 2011, Germany decided to shut down all its nuclear power plants by 2022. It’s already nearly there, with 12 of the country’s 19 plants shut down so far. China has long been working to move away from its coal dependence and move toward renewable energy sources like solar and wind. And within the U.S. as well, we are seeing some encouraging moves forward. Despite being deep in oil country and known for its abundance of oil, Texas has ruled in favor of solar and wind power. But these developments aren’t terribly surprising – at least not to me. See, energy bigwigs have been investing their money into the renewable industry for years – bigwigs like Google, Apple, and Amazon. And governments around the world. It’s all this extra attention that has led the solar business to soar and become one of the fastest-growing industries in energy. It hasn’t slowed down either. When this rise began, I had my eye on one profit opportunity in particular, one that if the industry continued to grow, would skyrocket into becoming a household name. Well, that has indeed happened. This company is one of the leaders in the solar industry, and the profit potential is through the roof. And you could take advantage of it. I’ve got all the details about this remarkable opportunity right here. If you’d like to join in, just click here to learn more. The post Your Weekend Renewable Roundup – and a Profit Opportunity appeared first on Oil & Energy Investor.